This morning after a workout at the gym, I set up at the locker room sink for a shave. A few sinks down, I noticed a guy shaving his entire head. That takes some talent, because you can’t see all that real estate in the mirror. He headed in all directions with the blade – up and over the summit and back down the slopes, until he had a clean-shaven dome. Used to be – a guy shaved his head for religion, or the military, or maybe he’s just extreme into swimming or cycling. Not anymore; the male shaved head is just another man in the crowd these days. This person isn’t me, but you get the idea. Shaving is one of those things we guys do almost absentmindedly. We each have a unique routine – no one is exactly the same as another. 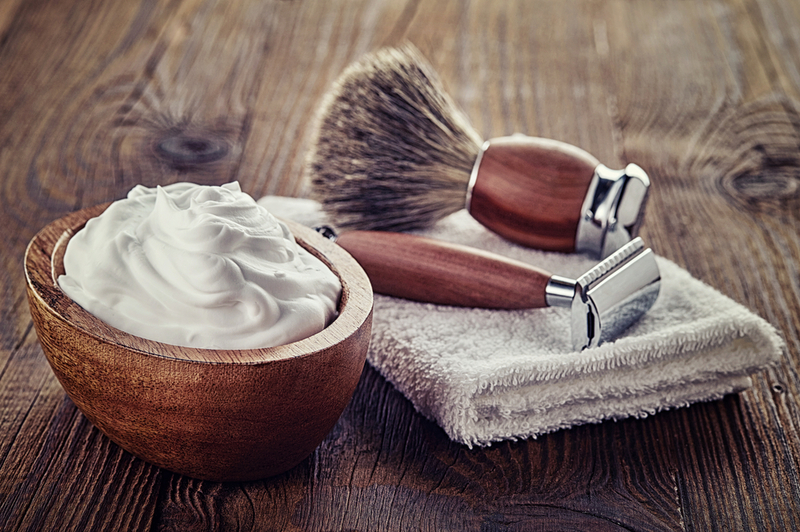 There aren’t guidelines so much as common sense: a good shave needs hot water, a substantial cream, and a sharp blade (or an electric). A guy who shaves daily is probably changing his blades once a week (though my friend two sinks down surely changes more often). The creams come in a hundred different varieties. Over time I’ve found one that works better than others, but again that’s just me. Some guys shave in the shower. I can’t do that – not unless I install a mirror. If I’m not seeing myself I’m gonna get cut, or at least miss several spots. Earn yourself enough razor burn, and technique takes on a whole new importance. A man in his fifties (me) shaving daily has come to the sink 15,000 times since he first picked up a blade. That’s enough times to develop technique, and also to be somewhat absentminded about it. And therein lies the simple pleasure of shaving: the five minutes I need from start to finish is a great ponder moment. Sure, you’re staring yourself in the mirror and you have some sense of what you’re doing, but you’re actually thinking about other stuff. What am I going to accomplish today? Was that a decent workout or could I have done better? Is that a grey hair? 15,000 shaves got me thinking – why do guys do this at all? It had to start somewhere, didn’t it? Picture a caveman waking up one morning and seeing his beard dragging on the ground. Maybe he stumbles on it a few times. Maybe he throws it over his shoulder like a tie, but it still gets in the way. So he takes a sharp rock and lops it off. Voila: the very first shave. When did “real” shaving get started? How about 3000 BC? Go back that far and you’ll find the birth of personal hygiene. Shaving was crude in those days – as you would expect – just shells or sharp tools to make the cut. Straight razors (basically a pocket-knife on a larger scale) came along in the 18th century and were the method of choice for the next two hundred years. 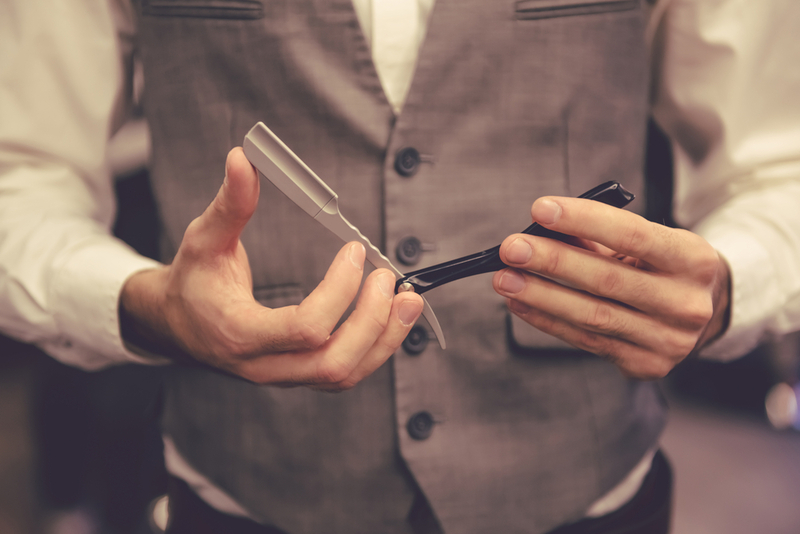 Then Gillette invented the safety razor – the disposable cartridge blade – and the straight pretty much disappeared (save for a few men’s salons today). 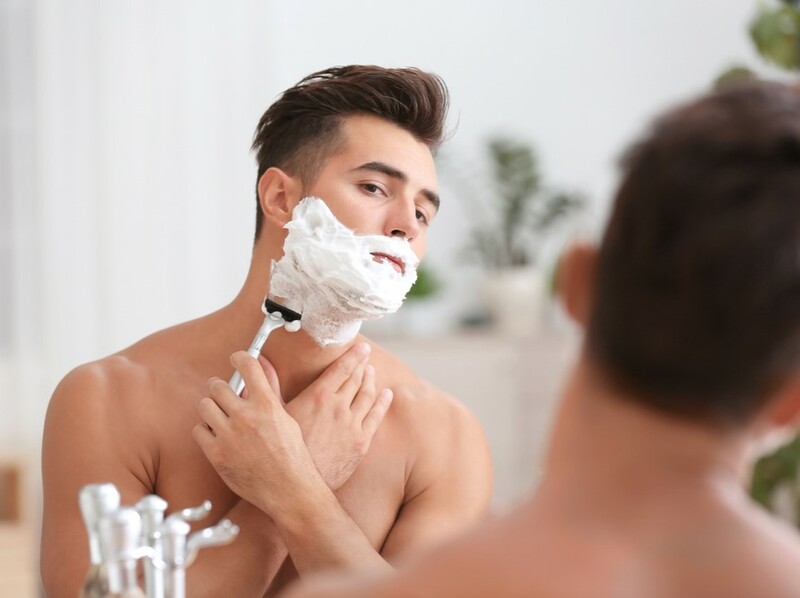 Shaving doesn’t have many myths, but the big one claims the practice promotes faster hair growth. Not true. Shaving gives the appearance of thicker hair (but only because you’ve lopped off what used to be a tapered hair). Faster-growing hair has everything to do with aging, and nothing to do with shaving. No doubt as I type, someone is inventing an easier way to shave. Perhaps a potion for the face, dissolving all visible hair in mere seconds. Or how about an army of nanobots – tiny, industrious mowers working together to make all desired surfaces smooth and clean? I don’t think I’d be up for either of those options. No matter how perfect the shave might be, I’d hate to give up my ponder moment. Questions need to be asked; decisions need to be made. Nope; not ready to put down the blade just yet. This entry was posted in culture and tagged hair, personal hygiene, ponder, razor blade, shave, toiletries. Bookmark the permalink. 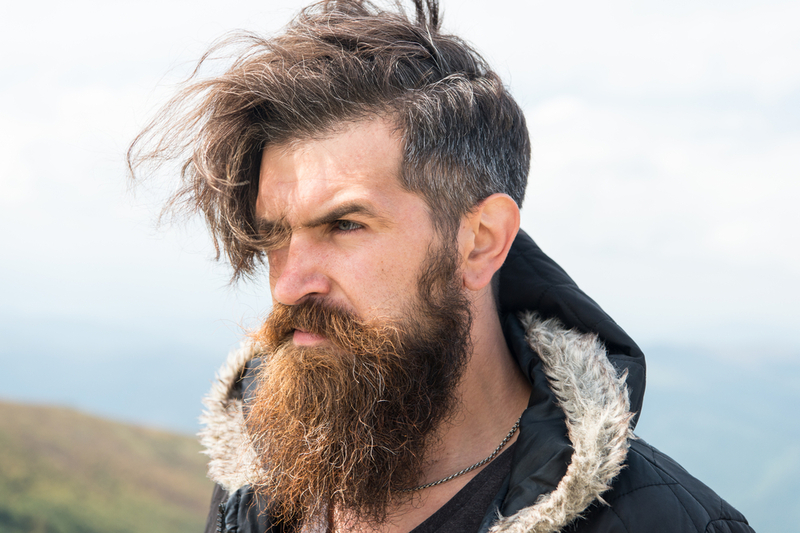 I saw an ad the other day for an outdoor store and the male model had a lumberjack beard and a man-bun……is this the new modern man? I am not a big fan of the current bearded scruffy look, so any guy who shaves is a winner in my eyes!